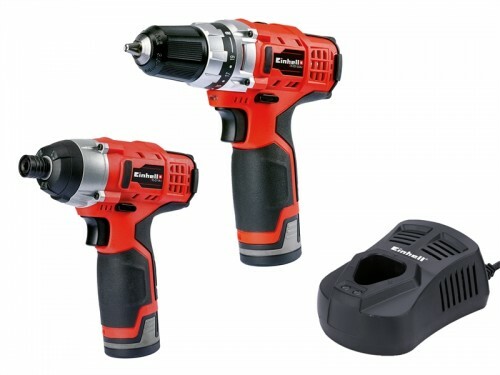 1 x TE-CD 12/2 Li Cordless Drill has a powerful motor with 2 gear metal-gearing to deliver high torque. The single-sleeve chuck has a quick stop function with an automatic spindle lock for quick and easy tool change. Settings 1 x TE-CI 12 Li Cordless Impact Driver is ideal for screwdriving jobs requiring high performance. With 3 powerful LEDs included for good all-round illumination. Max Torque: 80Nm Supplied with: 2 x 1.5Ah Li-ion Batteries, 1 x Charger, & 1 x Carry Case.